Family secrets and lies are like the invisible black ice on a bridge: if you don't watch out for the signs, it can be deadly. The narrator. her dialogue was very good, but her narrative passages were read in this really annoying way, with weird pauses, and she sounded SOOOOO bored. As a period piece, this was a good book, but will read it in print rather than audio. Would you listen to another book narrated by Jeanne Whitehouse? No! While her dialogue was good, there was something stilted and off about her narrative first-person portions. I wanted to like this book... but the narration was a poor choice. What did you love best about Bridge Ices Before Road? This story is all heart with a few nail-biting moments. There are so many things packed into this story of a Catholic family in Boston, set in the 1970’s. Frances Orillio and Maddy Malone meet when they are about eleven and this work takes you through their lives to high school days. Some of the themes explored are the relationships between mothers and daughters, bullying, family secrets, bigotry and roles of men and women in that era. There were rich descriptions and the characters were fully developed. I worried for many of them as danger and heartache came into their lives. I laughed in certain circumstances and teared up in others. 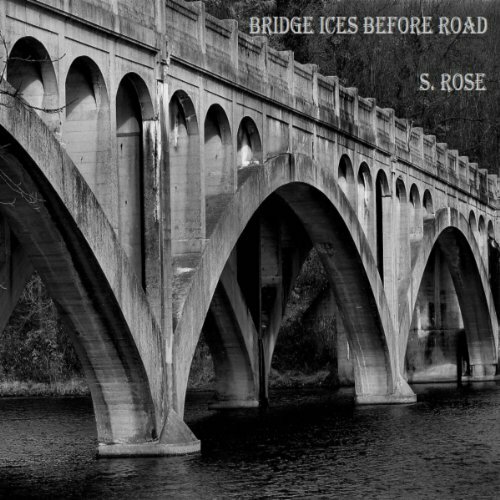 What other book might you compare Bridge Ices Before Road to and why? If you liked movies such as The Man in the Moon, or Steel Magnolias I believe you would enjoy this book also. They are not exact matches, but the mix of coming of age, endearment and also tragedy and drama is a pretty good approximation. Have you listened to any of Jeanne Whitehouse’s other performances before? How does this one compare? I hadn't listed to Jeanne Whitehouse before, but she did a wonderful job. She utilized accents for the voices in just the right way, from the mother’s Boston accent, to Maddy’s tomboyish way, from young to old- Annie, the small child, to the grandmother, and men such as the brothers and Fathers. Her reading also conveyed the heart of the characters. This was a wonderful listen. If you could rename Bridge Ices Before Road, what would you call it? I think the title was appropriate and wouldn't rename it. I was provided the audio version of this work in order to write an honest review. My opinion is what I truly feel about this listen. I think women might enjoy the first 1/3 of the book more than the men. Thereafter there is more a balance for men and women to appreciate.